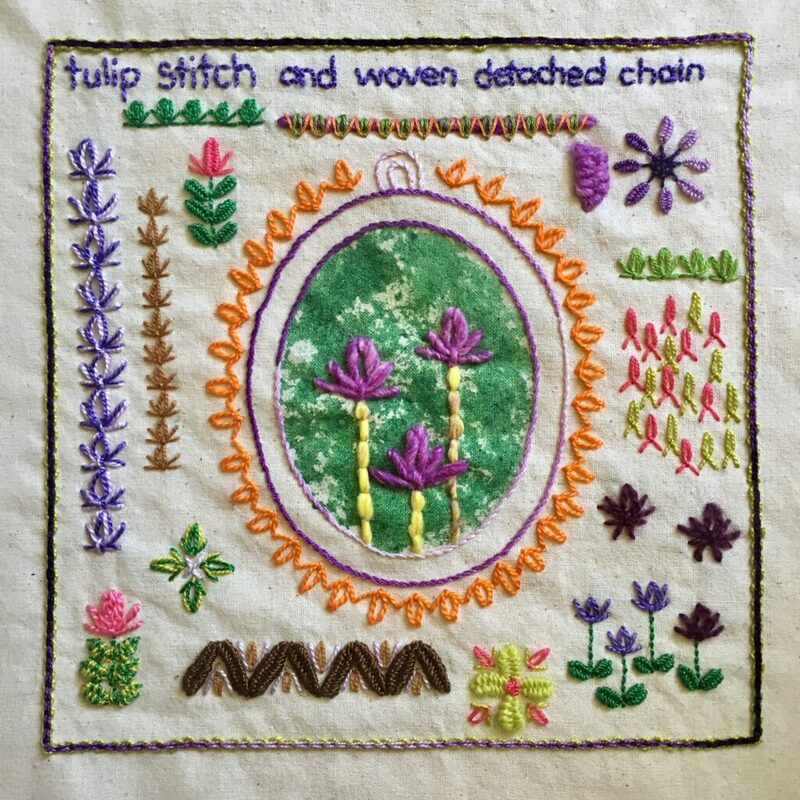 Today I’m posting about stitches 58 and 59, slipped detached chain (aka tulip stitch) and woven detached chain. I worked this sampler on a painted frame sample from an online class called ICQC-102, paints dyes and inks. I decided for this sampler, I would play with different threads, scale and stitch direction. Most of the threads used are perle cottons of various sizes, although the very large stitches are done with a single ply knitting worsted yarn. I’ve forgotten the name of the yarn but it’s Noro brand and a combination of wool and silk. The small green flower at the bottom is worked in crewel wool. Next up, I jam a whole lot of stitches into one sampler!